All your weight is supported by a tiny ledge that only sticks out a measly quarter of an inch. You are 6 feet above your last clip, trying to make the last one. Three more moves to the top of the climb where you can clip in to the last bolt, claim victory, and rappel down to celebrate. If you blow one of those moves, you will fall 12 feet, plus rope stretch, and have to redo the crux all over again. Do you make it? Do you fall and take a massive swing? Do you have a picture capturing this moment to share with all your friends? That's the joy of rock climbing. One part problem solving, one part total body exercise, and one part sheer force of will. All of these combine to form one hell of a good time. When you're on the rock face, working out how to get to your next hold, the stresses of life seem so far away. Did I remember the grocery shopping this week? How much should I be contributing to my 401k? When was the last time I changed the oil in my car? All those random thoughts that run through your head no longer bother you. Your focus is consumed by making the next move and getting up that wall. Boston has many opportunities for climbing nearby. 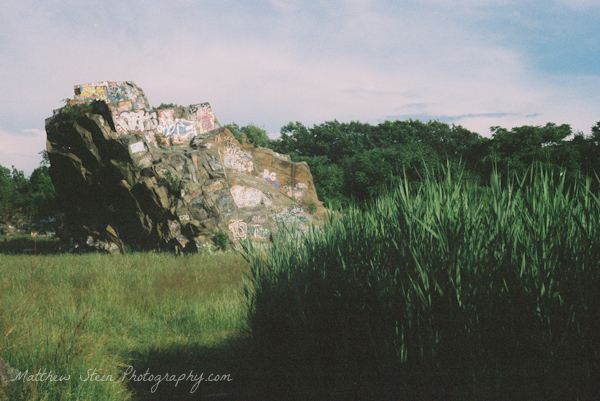 Some of them are even accessible on the T. Quincy Quarries is one of the most well known, and easily accessible. Unfortunately, it's also very accessible to graffiti artists. 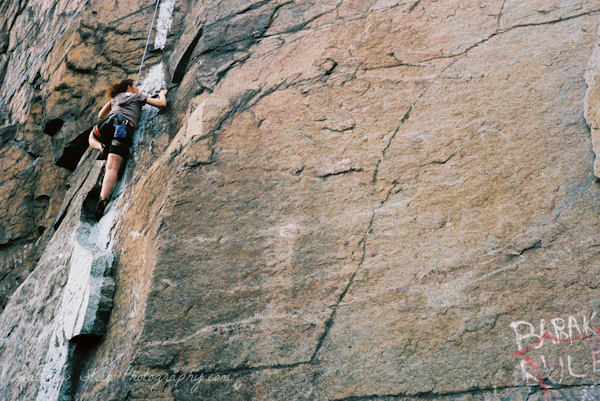 Rock climbing is enjoying a resurgence in the Boston area. Several new gyms are opening this summer. 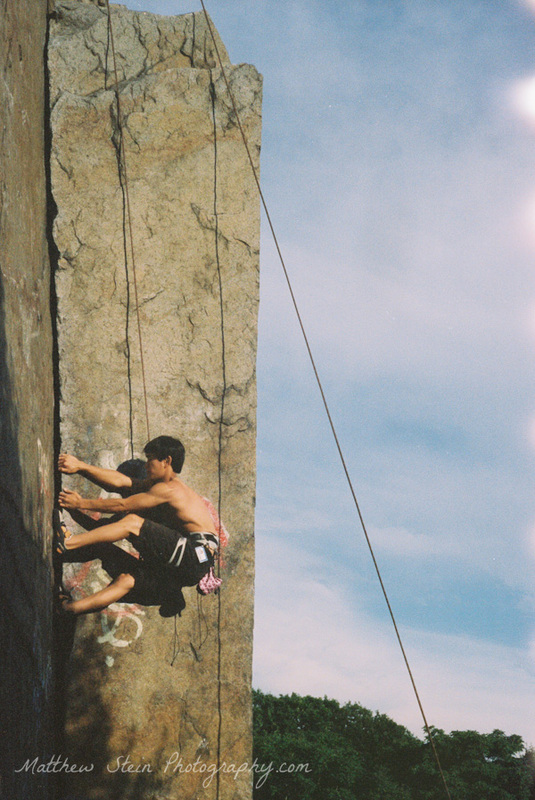 I've been climbing at MetroRock for several years now, located in Everett. They have friendly staff, great indoor walls for top-roping, leading and bouldering. A new location for Central Rock Gym has already opened in Watertown. Somerville is getting their own gym later this year when Brooklyn Boulders opens their doors. BB looks to differentiate themselves by offering wifi, working space, and possibly "a pop-up rotation of retail spaces." Their focus on entrepreneurs and techies is not misguided. A cursory look at the tshirts worn by climbers include some of the top tech names around here. Google, facebook, Twitter, and HubSpot swag are well represented alongside MIT and other college shirts printed with math and science jokes for various clubs. The problem solving aspect of climbing clearly appeals to the analytical crowd. Jon Kim works his way up a crack at Quincy Quarries. Where are your favorite spots to climb? How far do you have to travel to get to your favorite crag?